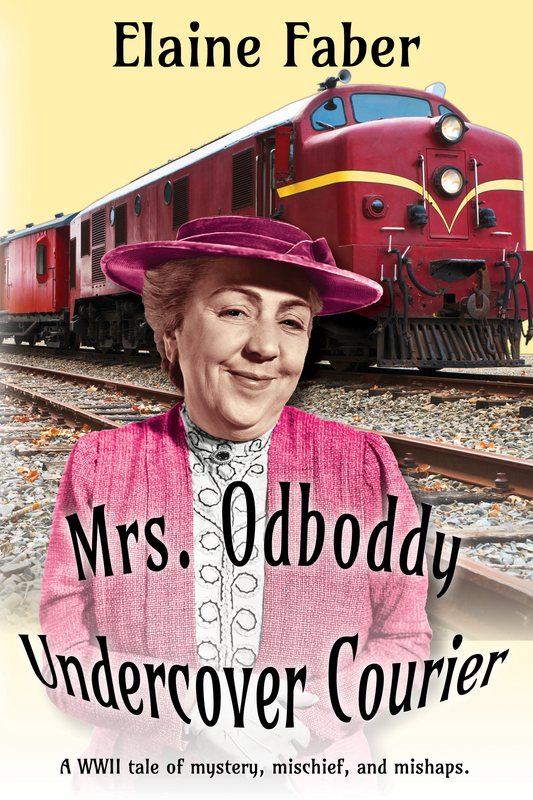 The public is invited to a book launch party at the Elk Grove Fine Arts Center, 9080 Elk Grove Blvd, Elk Grove CA on March 11, 2017 at 2:00 P.M. to celebrate the publication of Mrs. Odboddy Undercover Courier, Elaine Faber's fifth cozy mystery/adventure novel.
. Refreshments will be served. 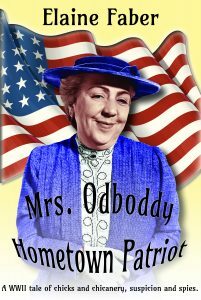 Mrs. Odboddy Undercover courier is the sequel to Mrs. Odboddy Hometown Patriot. 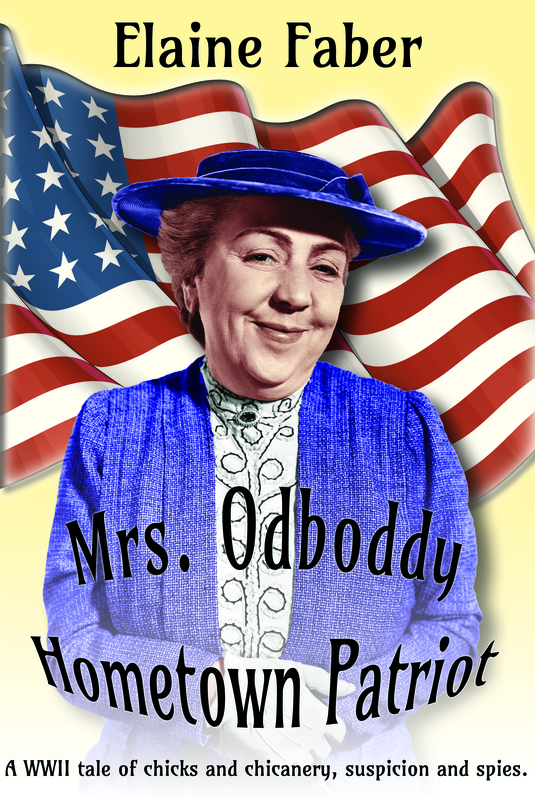 In this WWII humorous mystery/adventure, Mrs. Odboddy is asked to carry a package to President Roosevelt. Agnes is sure it contains secret war documents. She expects to encounter Nazi agents will try to steal her package. Along the way, she meets new friends as well as some unsavory individuals. An expected event puts her mission at risk and aid comes from an unlikely source. Once in Washington, D.C. Agnes runs afoul of J. Edgar Hoover and his illogical hatred for Mrs. Roosevelt. 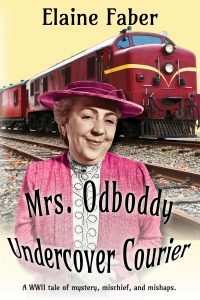 Undercover Courier is a fictional story with elements of historical facts tossed in for an enlightening, amusing and entertaining story. 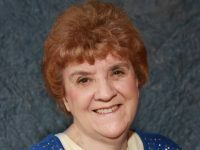 Elaine is also the author of three cozy cat mysteries. Black Cat's Legacy, Black Cat and the Lethal Lawyer, and Black Cat and the Accidental Angel. These books will be available and specially priced at the book launch party. All of Elaine's books are available at Amazon in e-book for $3.99. I'll be down for refreshments....hehe. Too bad you couldn't sign my Kindle....I'd like that. Even a sticker to stick on it. You know, you are the birthplace of Black Cat and Angel and Mrs. Odboddy. I will see if I can get this little blurp in my post. Wish you could live closer and have some cheezecake and sparkling cider. You're the one with the brains here. I'm wachnitg for your posts. In this and future blogs, we will explore mysteries in ways that may amuse and/or enlighten you. Maybe even give you something to talk about around the water cooler. Defines the word mystery as a novel or short story in which a detective (either professional or amateur) investigates and solves a crime mystery. The most famous mystery writers were Agatha Christy (Murder on the Orient Express) and Arthur Conan Doyle (Sherlock Holmes). Let’s begin with a simple mystery. We’ll work up to the more complex another day. © 2013 Elaine Faber. All rights reserved.